Grout Systems was contracted to install 82 – 14” dia. Restricted Access Auger Cast Piles and 20 – 14” dia. Low Headroom Auger Cast Piles each 95’ to 115’ deep for an aggregate length of 9,811 LF. Pedestrian access was maintained throughout the installation for scheduled events. 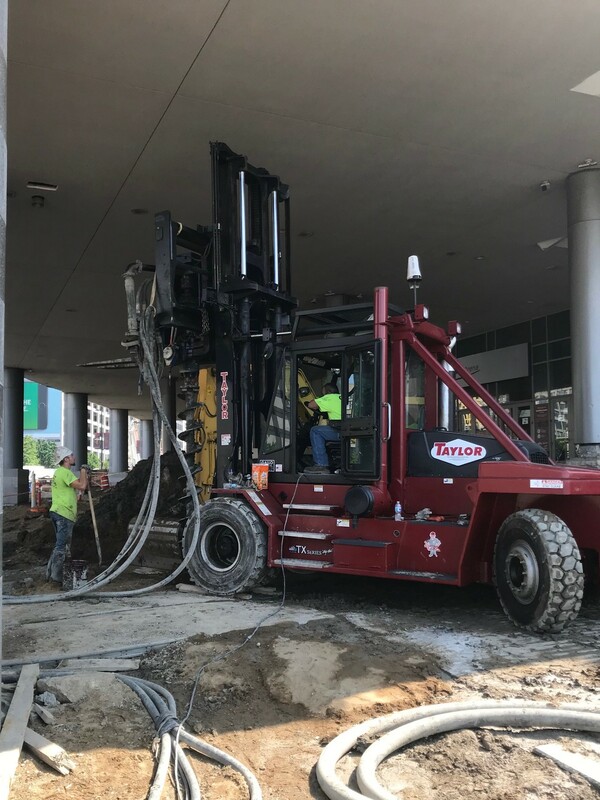 Other difficulties included: downtown traffic, partially dismantling the piling rig to duck a pedestrian bridge and encountering underground obstructions during the installation process. All of these complications were overcome accomplishing a successful project while maintaining the accelerated schedule.